So, last night, while the boys had a relatively righteous pizza dinner after their afternoon's exercise of going for a recce of the cycle and run routes for the sprint triathlon in a few weeks time, I didn't give in and order any! 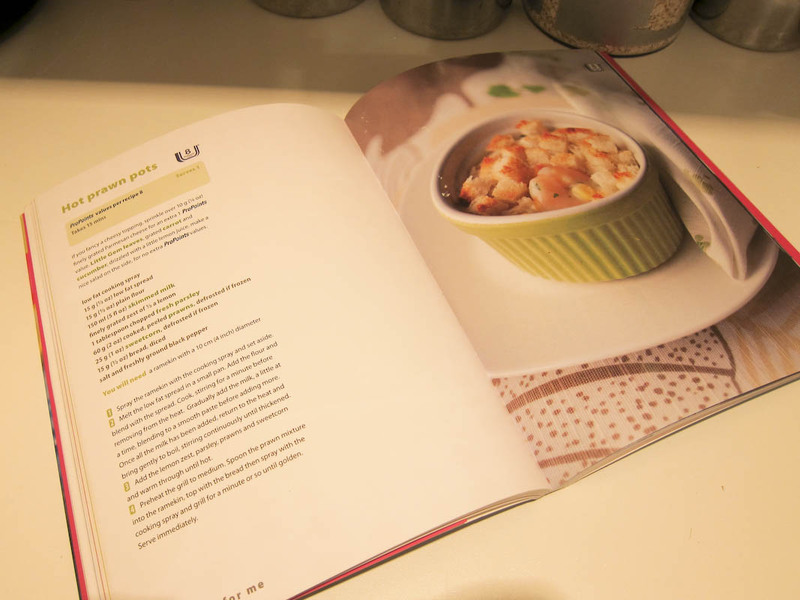 I was strong(ish) and headed for the Weight Watchers recipe books to get on with it. 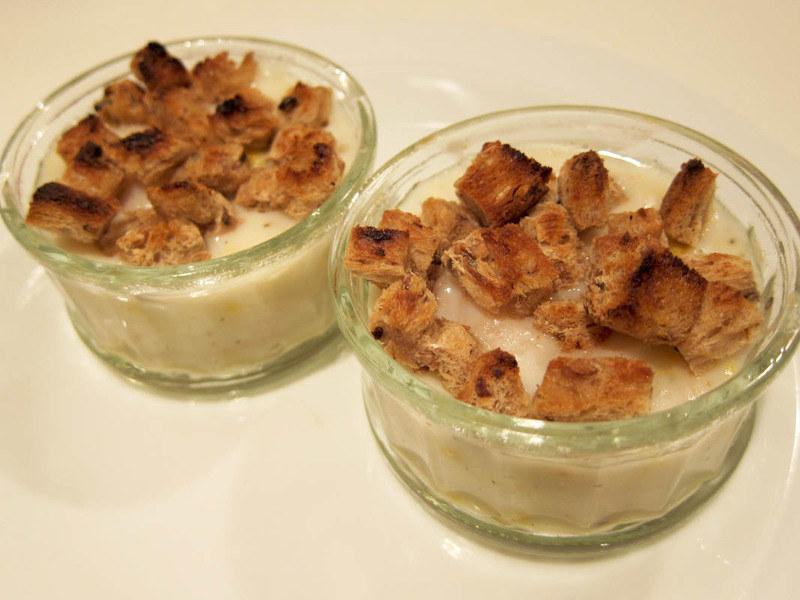 The recipe says you need 1 10cm/4" diameter ramekin. What I cooked didn't fit in one of those, it fitted in 2x ramekins (maybe mine are a bit small, but they're not half the size!). In any case, grease the ramekins with your cooking spray and get ready to pre-heat your grill. Dice the bread into pretty small chunks. 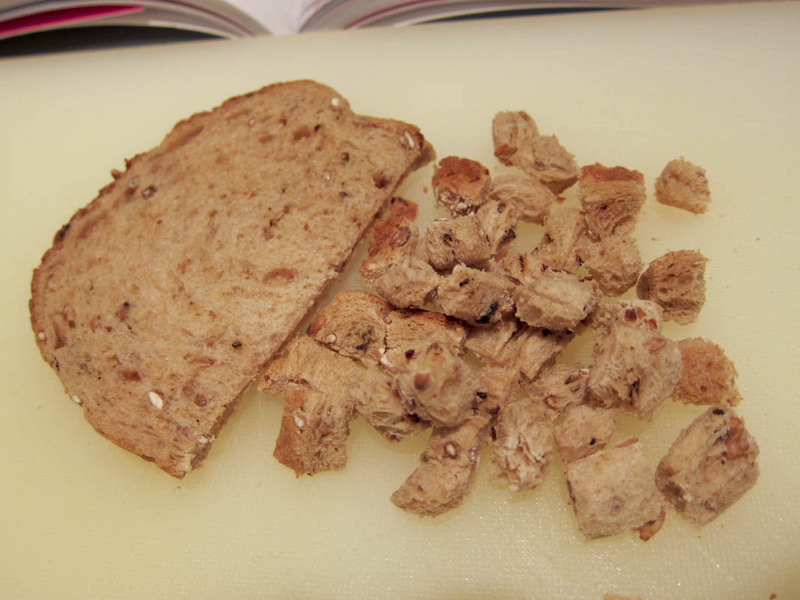 15g works out at about 1/4 slice of bread, so you can dice the lot and freeze the bits you don't use for another day. 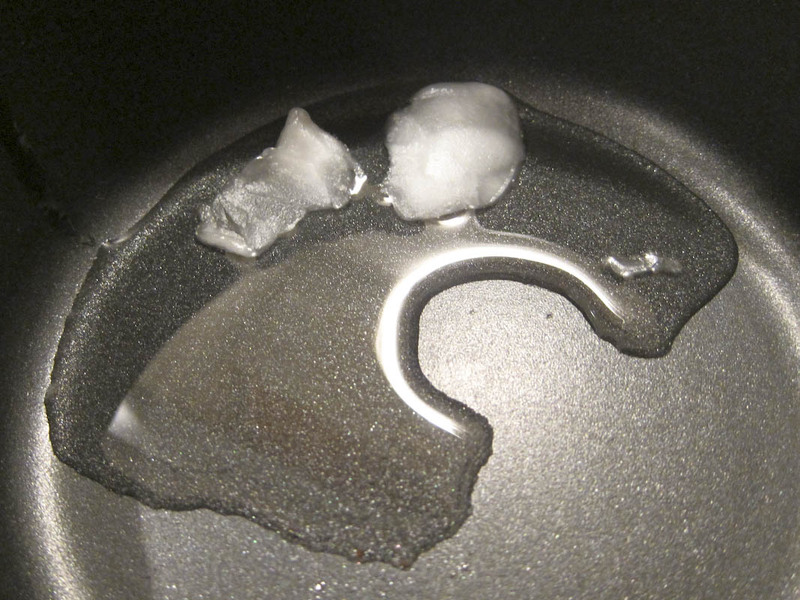 Melt your spread in a warm pan. Add the flour to the melted spread. Mix thoroughly to a thick paste and cook for a minute before removing from the heat. 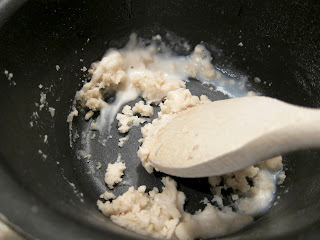 Gradually add the milk to the paste, stirring thoroughly each time, smaller amounts at first so you don't get any lumps, then you can add gradually greater amounts as it thins out more. 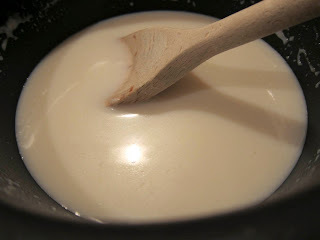 If you do end up with lumps early on, you can put the pan back on a low heat and let the mix thicken up a bit more - stirring all the time - and the mix will end up more consistent again, then you can take it off the heat and carry on adding the milk again. 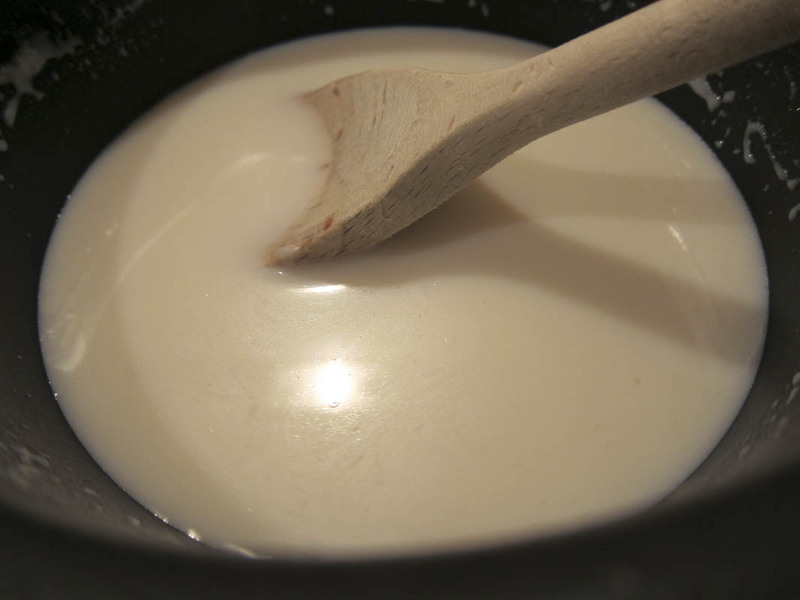 Once all the milk is mixed in, put the pan back on the heat and heat slowlyish back to just bubbling, stirring all the time until thickened. It will look glossy, silky and a bit like custard only less yellow. Now you can add the rest of the ingredients; first the lemon zest. 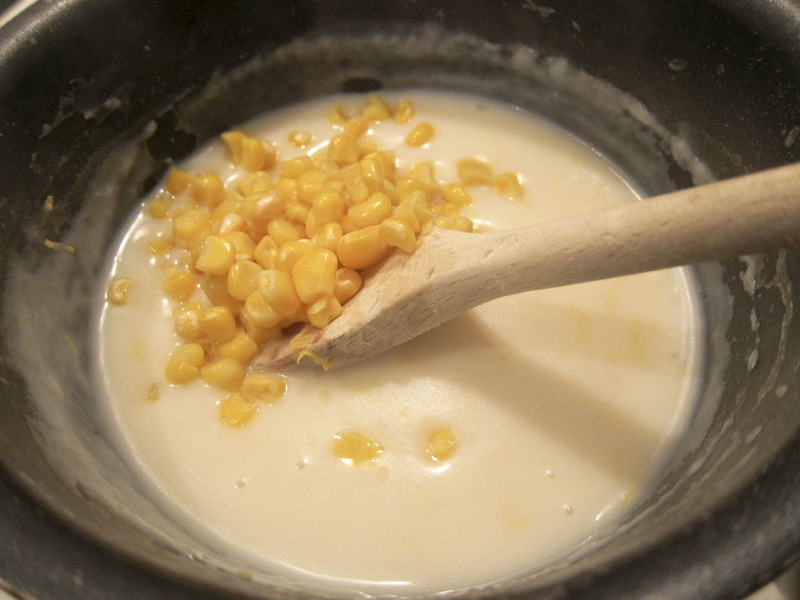 Then sweetcorn (if it was frozen, make sure it's defrosted before adding it). 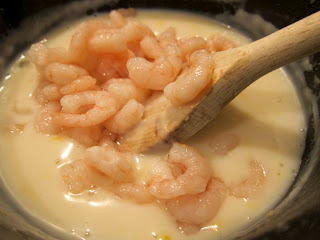 Prawns (same applied to these). Stir it all together and heat through thoroughly; add seasoning to taste. Pre-heat your grill while you're doing this part. Once the mixture is heated through, pour into the ramekin(s) and top with the diced bread. 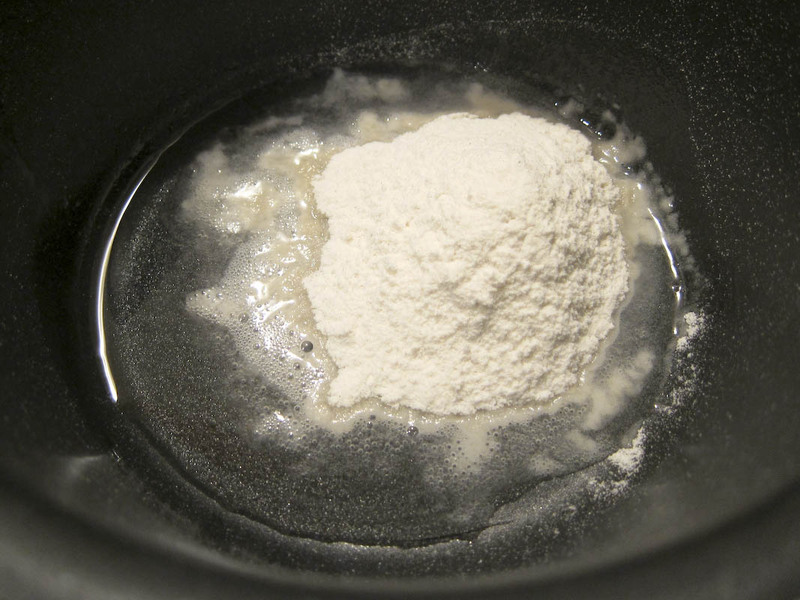 Spray your cooking spray lightly over the top and place under the grill to toast the topping. 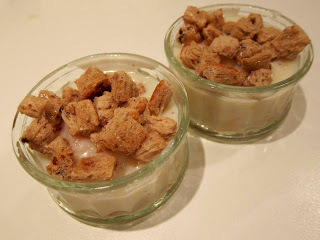 I think these would be great little starters at a dinner party - they're light, tasty and pretty quick to make. 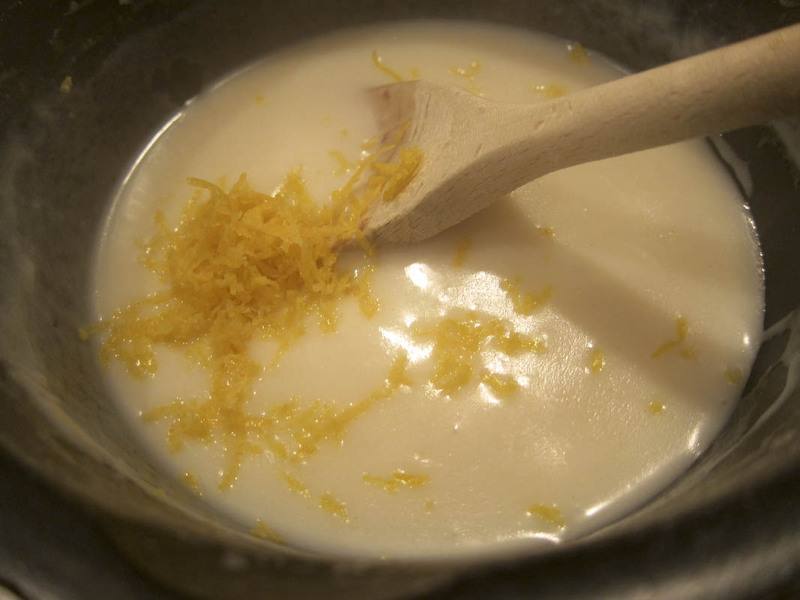 The fresh lemon zest and cooked-from-scratch roux make them all the nicer!